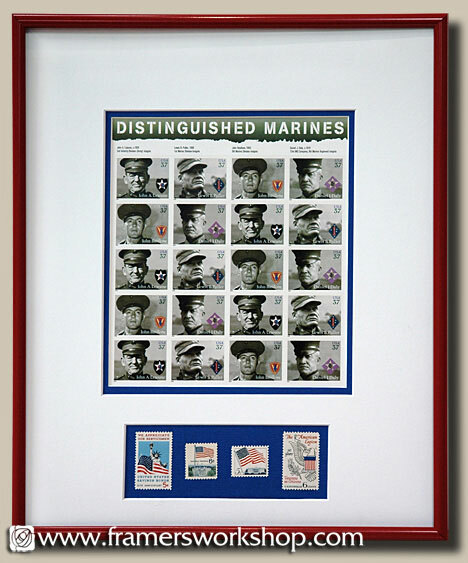 This set of Marines postal stamps was paired with individual issues from various years, which featured the U.S. Military Service U.S. Savings Bonds and The American Legion Veterans as Citizens stamps. The stamps were attached to their acid-free mat backings with professional stamp hinges made for collectors. The package was framed with a red Nielsen metal frame and U.V. glass.